High intensity interval training, or HIIT, is one of the most popular kinds of workouts today, and is a major part of what we do here at PumpFit Club in Fort Lauderdale. HIIT workouts have proven to be fun and effective for many of our members throughout their fitness journeys, as well as mine, Paulo’s, and our trainers’. If I’m being real with you, I attribute a lot of my strength and success as a fitness trainer to the HIIT exercises I do on a regular basis, and I have no intention of stopping. Why? Because HIIT is one of the best ways to get fit without having to take a lot of time out of your day. Simply put, HIIT refers to a workout that is made up of a series of short, vigorous cardio exercises with brief rest periods in between, mixed with strength training exercises. Since each exercise is quick with intermittent breaks, these bursts should be given a 110 percent effort, no matter what they involve. Say you’re sprinting for 30 seconds followed by 30 seconds of walking, for example, or are doing 10 pushups as fast as you can, then resting for 30 seconds before the next set. Either way, you are upping your heartbeat, exerting all your strength, keeping your muscles going, and pushing your limits every single time. 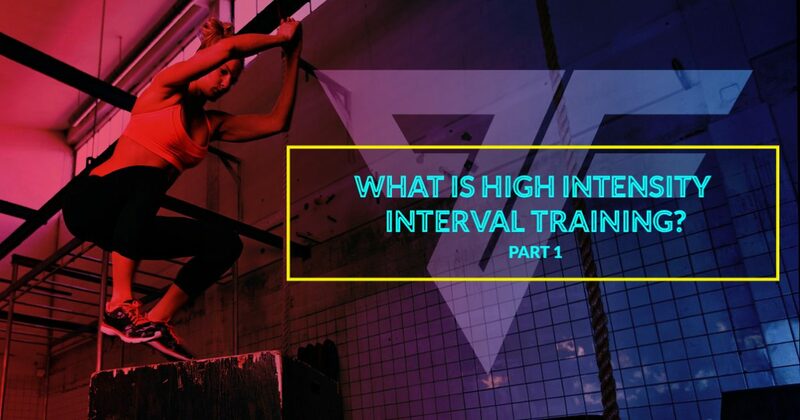 That’s what makes it “high intensity” interval training — you give HIIT exercises all your effort because you know that you’ll be able to rest in between. Aside from rapid push ups and sprinting, some common examples of HIIT workouts include intervals of air squats, sit-ups, jumping jacks, burpees, pull-ups, tricep dips, jump squats, and the list goes on. While each of these HIIT exercises is equally challenging in its own way, all of them help you accomplish one goal of burning calories, shredding fat, and getting fit. When done correctly and frequently (several times per week with enough recovery days in between), HIIT workouts are extremely effective and will leave you looking and feeling healthier, stronger, and more toned in no time. Some sources even show that these quick cardio exercises can leave you burning fat for up to 48 hours after you complete a HIIT workout due to the “afterburn” your body experiences during the recovery period. Another cool thing about HIIT workouts is that all you really need is your body — no dumbbells, no exercise machines, and no one to spot you. Of course, you can still do strength training workouts on the side, but with HIIT, it all comes down to testing the limits of your cardiovascular system, muscles, and entire body, in addition to knowing how to use your own weight, speed, and strength to your advantage. This means that HIIT workouts are incredibly versatile and easy to fit into your schedule, making them some of the best exercises to lose weight for those who are always busy or on-the-go. I hope you’ve enjoyed this little intro to what HIIT workouts are, and that you will come back for more in part two of this blog series, where I will talk about why it’s best to do HIIT workouts in a group setting. Until then, join the PumpFit Club in Fort Lauderdale to start burning calories, losing weight, and getting fit faster than you ever imagined Our HIIT group fitness classes are some of the best in the state, and Paulo, our trainers, and I would love to bring you on and become part of your fitness journey!